For some of our past anniversaries we’ve done hardware giveaways, and for our 20th anniversary I wanted to do the best giveaway yet. It only seemed fitting that as a thank you to the readers that have supported us over the last two decades, that we try to give something back to you. I set out with a goal to do 20 days of giveaways, one for each year of AnandTech’s existence. To do so, myself, the other editors, and the sales team reached out to our friends at hardware vendors across the globe to line up hardware for our greatest giveaway ever. The results exceeded even my wildest expectations. 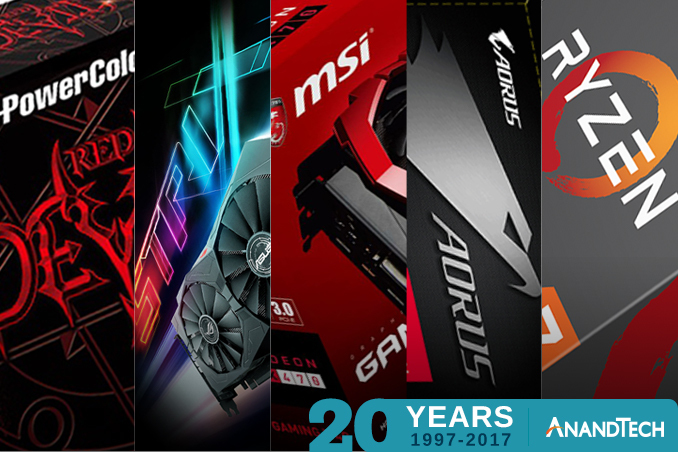 31 vendors have donated hardware for the AnandTech 20th anniversary giveaway, smashing even my most optimistic goals. We still haven’t finished adding up the value of all of the prizes, but it’s tens of thousands of dollars. It’s honestly almost more than we could handle, if not for the hard work of the Purch community team in helping out to organize all of this. So a big thank you goes out to our friends at Intel, AMD, HTC, NVIDIA, Seasonic, ARM, Asus, and more, for providing us with so many prizes to give out to you guys. I knew we had a lot of friends, but it’s only after you ask for free hardware to give to random readers that you realize just how many friends you have. And similarly, how these companies are eager to make a good impression with you. Starting today and running through May 23rd, we’re doing 20 days of giveaways. We have CPUs, motherboards, phones, tablets, video cards, cases, power supplies, laptops, and even some bona fide swag to give away. Each giveaway is only open for 48 hours, so you’re going to want to check in each and every weekday to enter that day’s giveaway(s). Many will enter, not as many will win, but with the number of prizes we have available the odds may be more in your favor than you think. However for our many international readers, I need to apologize. We’ve not been able to do international giveaways, and the 20th anniversary giveaway is no different. AnandTech/Purch is too big to do a clandestine giveaway, and that means we need to follow all of the relevant local laws on giveaways. And, as it turns out, there are a lot of countries out there who either dislike giveaways or require that someone in their country wins a giveaway in order for it to be offered there. As a result, we’re only able to open these giveaways to residents of the United States. I’m genuinely sorry we can’t offer anything outside of the United States, but I hope you can understand. Anyhow, for our first giveaway I thought it was only appropriate that we go full-circle and start back where AnandTech itself started: AMD. Altogether, AMD has given us 6 prizes to hand out: a Ryzen 7 1800X, a Ryzen 5 1600X, or one of four Radeon RX 570 video cards. The Ryzen 7 1800X and Ryzen 5 1600X are AMD’s top 8-core and 6-core processors respectively, forming the backbone of their new Ryzen CPU family. Marking a rather dramatic turnaround for the company in the CPU space, the Zen architecture has massively improved AMD’s IPC and overall single-threaded performance, changing the competitive landscape of the CPU space almost overnight. 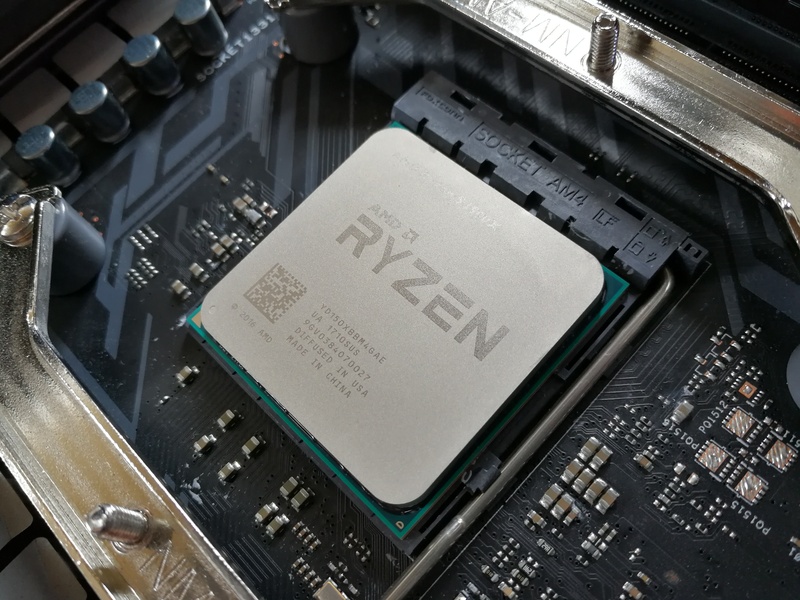 As our own Ian Cutress put it in his Ryzen 5 review: “for anyone wanting to do intense CPU work, the Ryzen gets a nod here. Twelve threads are hard to miss at this price point”. AMD isn’t able to exceed Intel’s single-threaded performance, but the release of a powerful processor with so many cores has served to make the x86 market a lot more interesting. Meanwhile AMD also sent over 4 different Radeon RX 570 cards, each from one of their different board partners: Gigabyte, MSI, ASUS, and PowerColor. 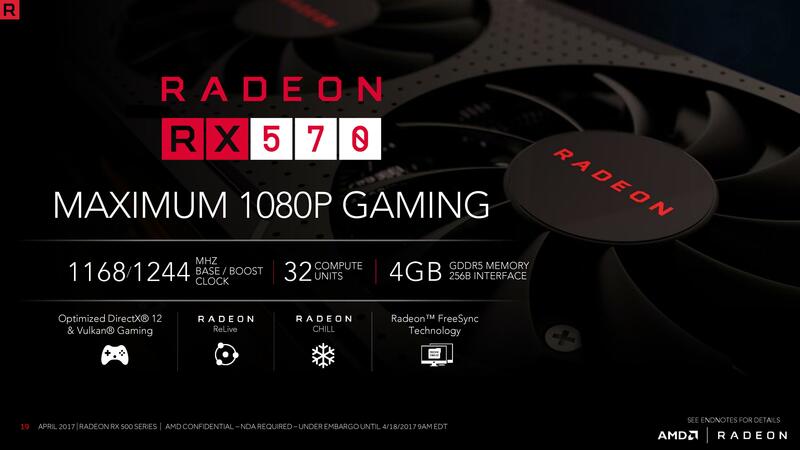 The Radeon RX 570 is AMD’s recently-launched SKU for mainstream 1080p gaming. The cards all offer 32 CUs, 4GB of VRAM, and clockspeeds of 1244MHz or better. All of the cards are open air type coolers, with 3 of the cards using a dual fan configuration, while PowerColor’s card takes it up a notch with three fans. 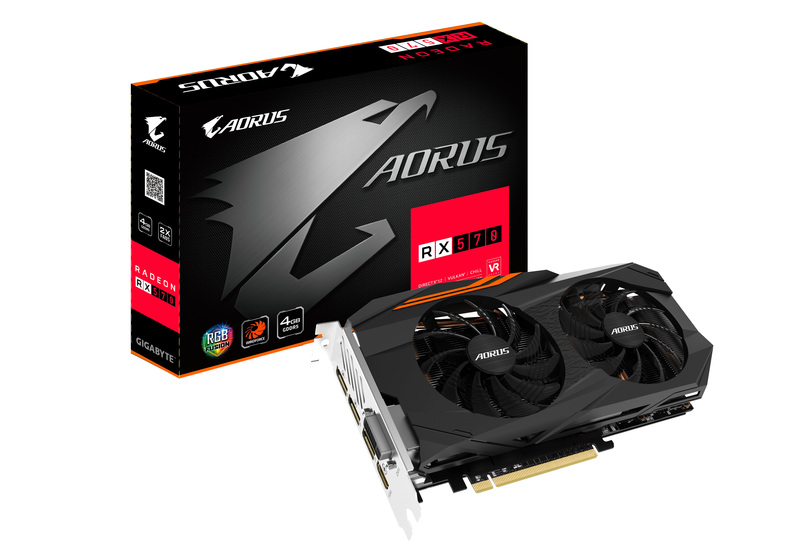 In our review of the RX 570, we found that the cards put up good numbers for a 1080p card, and should be able to handle 1080p gaming with few-if-any compromises, making it the cornerstone of an excellent gaming PC.